A Babur-3 dual-capable SLCM is test-launched from an underwater platform in the Indian Ocean on January 9, 2017. The latest FAS Nuclear Notebook has been published in the Bulletin of the Atomic Scientists: Pakistani nuclear forces, 2018 (direct link to PDF). We estimate that Pakistan by now has accumulated an arsenal of 140-150 nuclear warheads for delivery by short- and medium-range ballistic and cruise missiles and aircraft. This is an increase of about ten warheads compared with our estimate from last year and continues the pace of the gradual increase of Pakistan’s arsenal we have seen for the past couple of decades. The arsenal is now significantly bigger than the 60-80 warheads the U.S. Defense Intelligence Agency in 1999 initially estimated Pakistan might have by 2020. If the current trend continues, we estimate that the Pakistani nuclear warhead stockpile could potentially grow to 220-250 warheads by 2025. The future development obviously depends on many factors, not least the Pakistani military believes the arsenal needs to continue to grow or level out at some point. Also important is how the Indian nuclear arsenal evolves. 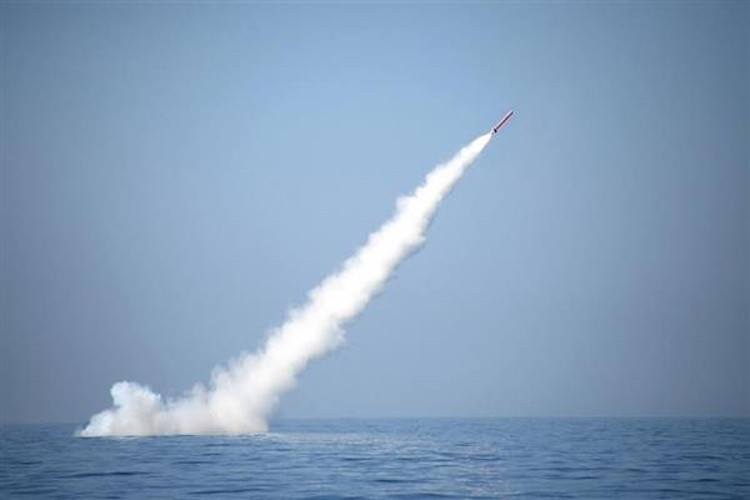 The Pakistani government and officials initially described Pakistan’s posture as a “credible minimum deterrent” but with development of tactical nuclear weapons later began to characterize it as a “full spectrum deterrent.” Moreover, development is now underway to add a sea-based leg to its nuclear posture, and a flight test was conducted in 2017 of a ballistic missile that Pakistani officials said would be capable of carrying multiple warheads to overcome missile defense systems. The US has integrated JDAM kits with its nuclear weapons, the B61 Mod 12, if memory serves. Unlike the JDAM, the guided tail kit for the US nuclear B61-12 does not use GPS but an internal navigation system. Pakistan’s Range Extension Kit uses GPS for a conventional bomb. Don’t need pin-point accuracy for nuclear bombs. Also, what’s the best guesstimate for yields of Pakistani warheads? In the low hundreds of KT? Testing seismic signatures demonstrated low to 12 kt. With possible boosting, they could potentially increase yield to several tens of kt. A conservative guesstimate is 5-40 kt. But significant uncertainty.